When you find that your home or office personal printer isn’t equipped to handle your project, contact BPG Bauer Printing & Graphics. We have the resources and experience you need to make any graphic design or printing job a success. If you’re in need of a commercial printer in El Paso, TX, BPG Bauer Printing & Graphics is here to help. Whether you need business cards printed for your new startup or are self-publishing a book and need it formatted, printed and bound, we have the equipment and know-how to put your vision on paper. There are plenty of chain print shops in El Paso, but BPG Bauer Printing & Graphics brings a personal touch to every project we work on, and we’ll take the time to make sure we understand your needs and execute them well. We can print business cards, greeting cards, booklets, envelopes and more. Our printing professionals are friendly and detail-oriented. We specialize in book layout, design and binding. 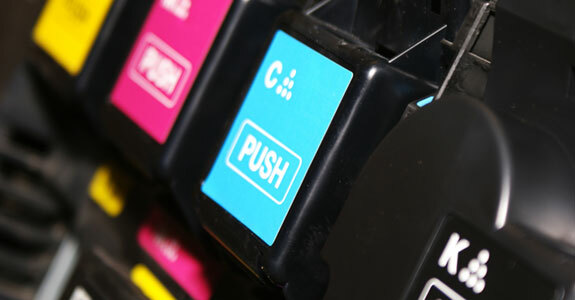 Our digital color printers are the best in the industry.